I thought I would add another page to this blog. 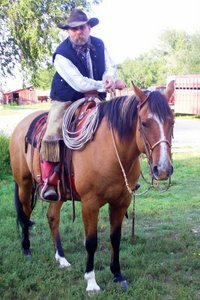 I perform cowboy poetry, songs and stories. I can go anywhere any time, for the right amount of money! I can perform from 5 minutes to 5 days. I don’t have a standard rate, but work with whatever group or person I am dealing with. I do guarantee my performance. If the people are not happy with it I will gladly return the performance fee and just retain the amount paid to cover expenses. So far I’ve never had to. Anyone interested in having me perform for an occasion or function can get in touch with by calling 605 985 5419. Early mornings or evenings are the best time to call. For those who don’t know it already, I have a book that was published a few years ago. 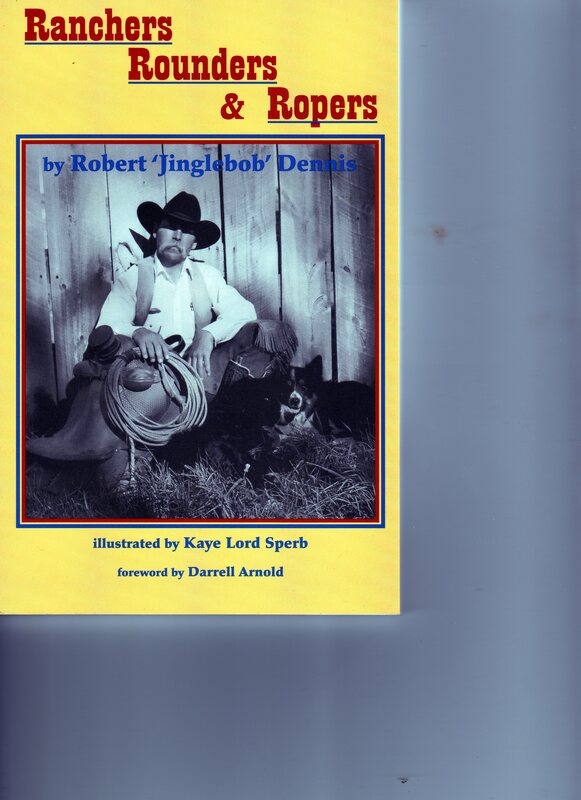 It is stories that I had published in the now expired Cowboy Magazine. The editor, Darrel Arnold told me to put them all in a book. So I did. Sold 4 or 5 so far. Seriously, I have sold quite a few. The lady who did the art work, Kay Sperb, threw in with me and we each took half the first run. I have sold my half and bought a box from her. Usually I sell a few when I go off and do a gig with my poetry and songs I entertain with. If anyone is interested in one, they cost $15 postage paid, delivered to you. They are guaranteed. If there is any portion of the book you don’t like, just return that unread portion and I will return that much of your purchase price! This book also contains some of my unpublished poems. I enjoyed poking around your site. My family had a ranch On the Wind River in Wy since before 1900. Sadly it passed from our family in 2009. I just got the last box of history from my uncles estate a few weeks ago. Found out my great grandmother was a “blogger” of sorts. Got a notebook where she commented on things that happend in her life lots of fodder for cowboy stories. I think she was from S. Dakota last name “Fly” irish spelling “Fleigh” . Have to decipher it all. Thanks for the comments Christy! Just send me your address Brigitte! Well, you got my attention..
Well…. good! LOL I tried to leave a comment on your site, but it so dark I couldn’t find the button to push to leave the comment! Nice poetry you have there. Well my browsing paid off because I found your enlightening blog while hunting for articles discussing life in the US. I manage a small manufacturingcompany in Spring, Texas that makes political gifts. Come visit my site sometime. Keep up the good work with your blog. This is really interesting, You are a very skilled blogger. I have joined your rss feed and look forward to seeking more of your excellent post regarding on this. Also, I have shared your web site in my social networks! You still have some of those books, JB? I want one. I will send a check asap. Let me know, or either that keep it for me and when we make it out this summer, I want a personally sighned copy! love your site! and enjoy all the stories! one of these days will have to get the book! it would be a great addition to my little “cowgirl trailer”! I like your comment number 11 about hands in your “about me” page. Burnt and scalded, cold and frozen, they are electrocuted on the fencer, and are ripped on the barbed wire, they scratch when you itch and they comb ya hair, they write your cheques, and are put forwards to receive, they lift your pint, and they feed you, what more could you expect from a loyal pair of hands. Talk about finger nails, horse and cattle hooves, and rings round horns.